Each day begins white as snow. Each day gives us a do-over. 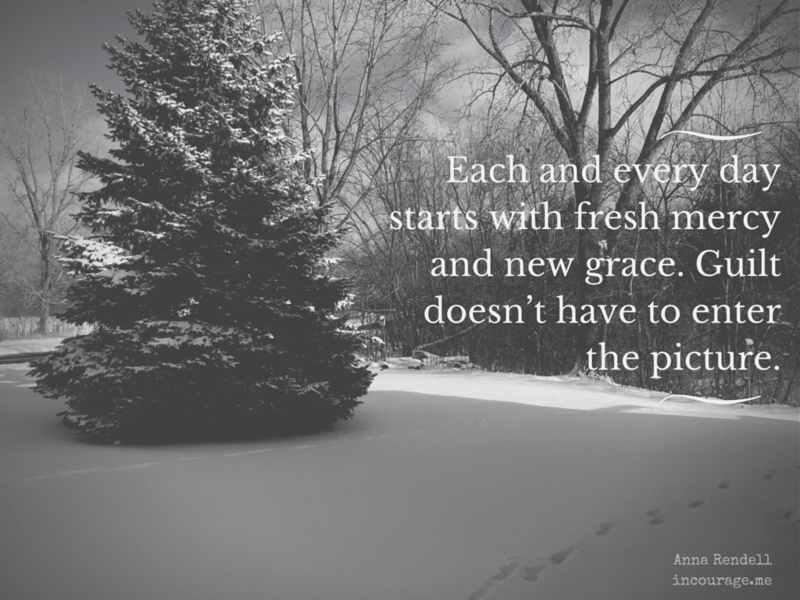 Each and every day starts with fresh mercy and new grace. Guilt doesn’t have to enter the picture. There’s no big party to welcome a new day, no sparkly orb or bands playing, no confetti tossed. New days dawn quietly, simply rolling in unannounced. Mercy is fresh and still covered in dew while grace, gentle, smiles soft in the background of the sunrise. If we’re too loud, we might miss it: the whispered invitation to a faithful love. So much goodness, provided in our every day. Join me over at (in)courage today to read the rest of the story!